Disclaimer: Right off the top, I need to let you know the Second Shooter I was using this past year was on loan. I purchased my first real slider (you know the kind I didn't make out of PVC pipe and skateboard wheels) from Kessler Crane in 2012, and since then i've been a proud customer. Kessler lent me a Second Shooter to use while shooting Untethered. The opinions of this article and the video are my own, I have not received any payment from Kessler. This past year I've been testing out a new addition to my camera support kit. I finally got into the motion control game and have been extensively using the Kessler Crane Second Shooter along with my already owned Kessler sliders. I wanted to share my experience of putting this gear to test throughout this past year and why I've come to love this piece of MOCO gear. The Second Shooter is essentially an addition of motors and a tiny computer to a Kessler slider. This system allows you to set keyframes for different positions on the slider, and then move the camera between your set positions automatically. You can use this for Timelapses moves over long durations of time, or you can use if for live motion setups with the looping feature. My favourite traveling timelapse set up. A 2 Foot carbon stealth paired with the slider motor. The biggest feature I love about the Second Shooter is the modularity. The options for different configurations are endless, and yet you are never committed to one exact setup. Sometimes I would use the pan and tilt head, other times I would just use the slider motor. You can use it dozens of combinations with all of Kessler's sliders. I often take a 2-Foot carbon stealth with me into the mountains and use a larger Cineslider when back at the studio or shooting time lapses where I want longer camera moves. Using the keyframes and the controller to trigger your camera, adding motion to timelapses is a really straightforward process. I've used several systems previous to this that were extremely complex. The Second Shooter makes figuring out intervals and durations really easy. It has handy built in duration calculators and each parameter is flexible making it really easy to add additional frames, or extend the interval. It also has awesome shoot–move–shoot functions which allows you to capture long exposures and not have the camera move. The looping feature of the Second Shooter is definitely the most frequently used when I am shooting. It's amazing how much a controlled parallax slide can add to a very generic interview set up. With the pan and tilt head you can track your subject across an entire slide. This feature alone merits an investment into motion control. The ability to do complex timelapse moves is all just a bonus in my opinion. The build quality is another feature that I’ve really come to appreciate. I am super tough on my gear, I take it with me everywhere and I am using it constantly. Throughout this past year, my equipment has help up brilliantly and shows no signs of slowing down anytime soon. A helpful tool to use alongside the Second Shooter is the Manfrotto magic arm. Using this arm I was able to place the camera off axis from the slider. If that's looking down over my subject or doing timelapse moves low to the ground. I feel like I am just scratching the surface of what I can do when using an arm in combination with the slider. It is also helpful when shooting on tripod setups and you want to help support the other end of the slider to prevent weight sag. When shooting Untethered I used the timelapse function of the second shooter to help capture these gorgeous transition moments. These time lapses were key to the edit and the way the storyline came to gather. The added movement helps give a sense of time passing and I used these shots to help separate the different scenes of the film. Lastly, I have to say the Second Shooter is incredibly intuitive to use. I tend to avoid instruction manuals, and on my first day using the second shooter I had it up and going, getting fantastic shots, in under 15 minutes. I have definitely had experiences in the past with motion control equipment that needed a book to learn. I can teach someone else how to use it in under five minutes, this is huge for getting additional hands up to speed. What did I find challenging when using the second shooter? This is less a fault of the second shooter, and more a reality of motion control setups that are modular. I don't like needing to remember more cables or have other cables to look after. That is just one of the pains that goes along with these kinds of setups. There newly released TLS seems to offer better cable management as the controller and battery travels on the same sled the camera is one. The most common error I make when setting my keyframes is sliding the camera to far to the right or the left. I usually make this error because I am trying to set it up fast, or I am doing two tasks at once. When you hit the end of the slider track, the motor can sense there is something wrong and resets the controller. This is frustrating at times because you then loose the keyframes you just set and need to start over. I don't know if there is a solution to this, but it comes as a byproduct of the controller and motors being able to work with various different slider lengths. I wish there was a way to tell the controller which slider length you were using, and where the start and stop points are, and then have the computer remember it for all future keyframes you set. Would I Choose the Second Shooter again for My Next Big Project? I like to use the best gear that is available for me to use. If there is a better option of any piece of gear that exists, I am often looking for it and trying to use that instead. As a principle I have a hard time settling for equipment that is "almost good enough" to do the job. So when I ask myself, "Would I chose to use this piece of gear again on my next big project?" The answer is, yes. And in closing I can boil it down to two reasons for myself. LOOPING FEATURE: This system offers the most reliable interview looping feature I have been able to test out. FLEXIBLE TIMELAPSE SETUPS: The second shooter can adapt to all of the slider products available from Kessler. I am never locked in to a certain setup, or by a slider length or style. If I want bigger I can go bigger. If I want to go timelapse only I can go timelapse only. I’ve really come to love and rely on my second shooter. 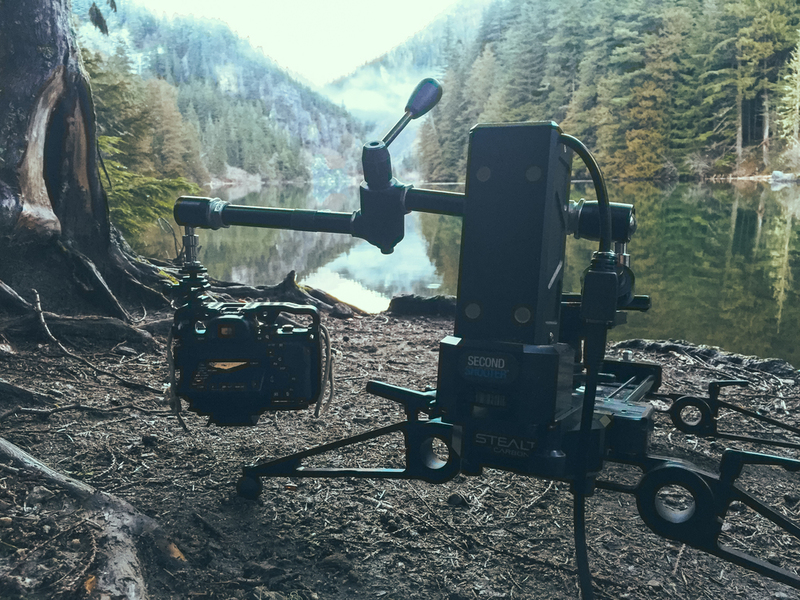 From shooting on set to life int he mountains It really is a trusted member of the Leftcoast team. I’m thankful knowing my investment in the Kessler Eco-System is going to bring value to my series for years to come. I want those to actually be tools that are going to last me and not be outdated. I want to say a huge thanks to Kessler for letting me test their gear while shooting my film, and creating tools that empower me as a filmmaker.